While debate continues over the impact of smartphones in classrooms, the fact is that the right educational apps, be they for browsers, phones or tablets, can be game-changers when it comes to helping students organize their time, take class notes and keep track of homework. Whether you’re a full-time student, a part-time postgraduate or a professional taking evening classes, these apps can make studying easier and more efficient. 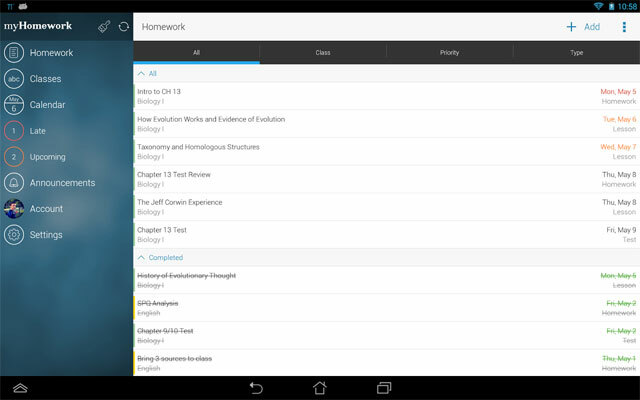 myHomework is a dedicated homework planner combines the features of a calendar app and a to-do app. Its minimalist interface comprises two columns—one for your class schedule and one for your assignments—and a toolbar to navigate. You can view assignments by class, priority, type (such as "study" or "read") and due date. They can also be color-coded, with customizable reminders as deadlines loom closer, from three weeks to the hour before for ultimate procrastinators. The myHomework platform is set up so that participating schools can set assignments, update class info and publish announcements within the app. Along with a website, there are apps for both Android and iOS. The free version of myHomework is a great standalone app for full-time students, but if you’re working part-time or have a lot of other commitments, you might want to go for the premium version ($4.99/year), which lets you sync your myHomework calendar with an external calendar, such as Google, so you can see all your commitments in one place. Unless you’re an English major, chances are you occasionally mix up homonym pairs or dangle the odd participle. Grammarly is a freemium software (free with additional paid-for features) that can fix common writing mistakes, ranging from misspellings and punctuation errors to awkward sentence structure. To that end, it outstrips the default spelling- and grammar-checker in the average word processor, which often doesn’t catch contextual spelling errors (e.g., “road” versus “rode”). Grammarly can be downloaded as an extension for your browser, where it’ll automatically give the once over to whatever you type in text fields—in Facebook, email or Twitter, for example. Errors are underlined with suggested fixes. 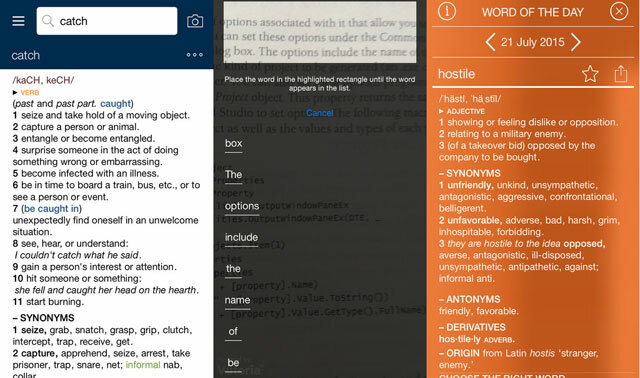 You can also enable a dictionary feature that lets you double-click on any word on a web page and get a pop-up definition. Alternately, you can manually paste a piece of text into its grammar-checker at Grammarly.com; Windows users have a desktop app option. The premium version catches more "advanced" errors, such as overuse of the passive voice; recommends other word choices; and scans work for (hopefully unwitting) plagiarism, which can be handy for academic papers or when reviewing the work of peers. All that said, it doesn’t replace a human editor if you need to fine-tune your writing for style and meaning (versus simply checking grammar). Both the free and paid-for versions provide information about your grammar mistakes, which may be useful as a study aid. 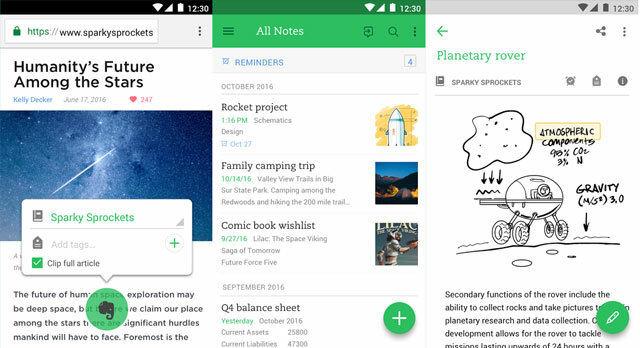 An oldie and a goodie, Evernote is one beefy note-taking app with excellent features tailor-made for keeping track of research. 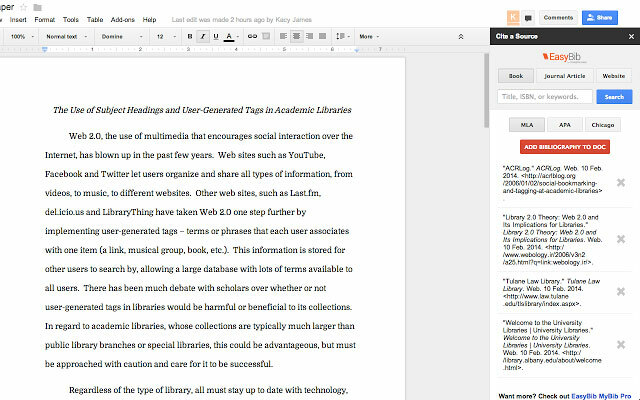 Along with text, audio and video notes you can organize by tags and by parent notebooks, in web and smartphone apps, the Evernote system comprises a browser extension that allows you to "clip" web pages and save them to particular notebooks, including ones you create on the fly—handy for capturing inspiration for new projects. 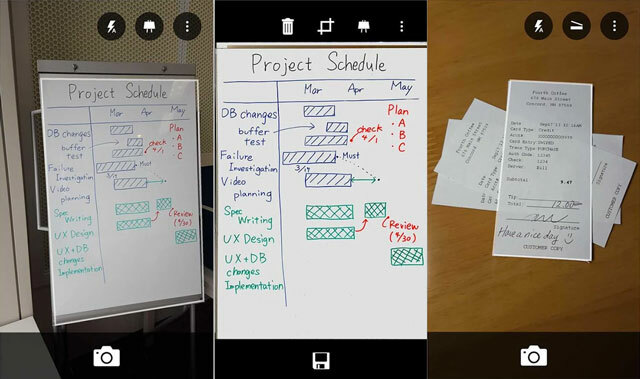 There’s also a great feature that lets you search for text in images—if you snap a picture of a whiteboard full of notes, for example, or a page from a book. Its excellent in-app search function, used with geo-tags and category tags, is a godsend when all those clippings and midnight ideas start to stack up. Users of the free service have a monthly limit of 60MB worth of uploads, which resets every month; there's a maximum of 25MB per file, which might not be an issue unless you plan to upload media files (e.g., audio recordings of lectures or interviews) or several images. The paid-for Plus or Premium services offer 1GB and 10GB of uploads a month respectively, with ability to use the app on unlimited devices (versus two devices for free users), save notes for offline editing and, in the Premium version, search for text in PDFs and Office files. 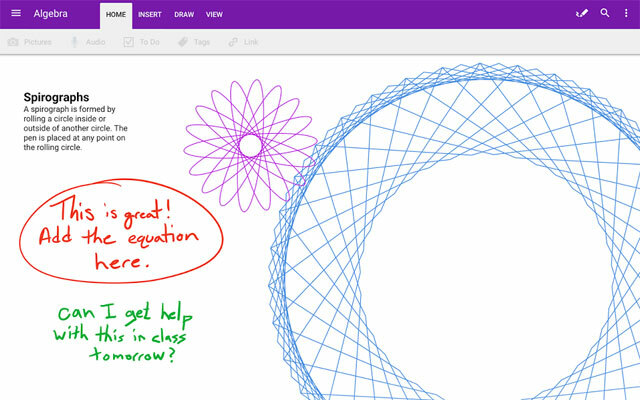 If larger uploads are crucial to your note-taking—or if you prefer something simpler—Microsoft OneNote is a more streamlined app with 15GB of free storage in OneDrive. There are fewer organizational features to learn: simply fire up the app, write a note and put it into a particular “notebook” or notebook section. You can record audio or video while typing notes, and it will be timestamped so you can later skip to that place in the recording. As with Evernote, there’s a browser extension to clip useful web pages and save them into notes; and like Evernote’s paid-for versions, the free version of OneNote includes offline access and the ability to save emails into the app. If you happen to own a Microsoft Surface, you can take handwritten notes via stylus, which can then be parsed into plain text, saved and made searchable. The nifty OfficeLens app from Microsoft has a Whiteboard mode for snapping images of notes your lecturer makes at the front of the classroom. You can clean up and enhance the images—removing glare or shadow, for example—so you can get clear pictures even when they're taken from an angle. The app's Document mode is invaluable as a pocket scanner to digitally backup anything from receipts to your ID to a page from a library book you can’t check out. 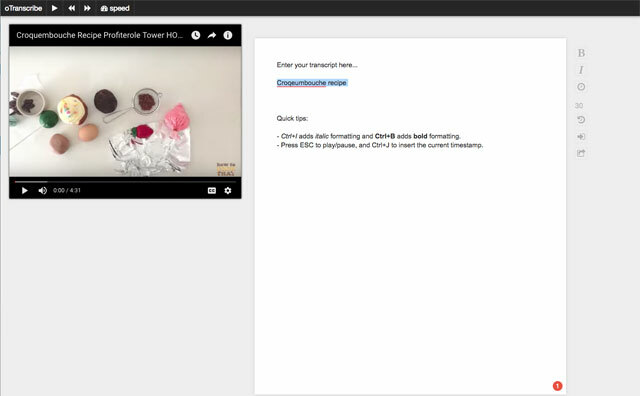 OCR technology lets you search the image for text that you can copy, save and edit. You can save scans to Microsoft’s OneDrive cloud service as well as to your smartphone, and share them as PDF, Word or Powerpoint files. OfficeLens can also scan business cards, extracting contact info to save to your phone's contact list or to OneNote, if you use it. There are times when you’ll need a verbatim recording of a conversation or a lecture. oTranscribe is a free, open-source web app that aims to make the laborious process of audio transcription a little easier, with an embedded audio and video player that lets you playback and type in the same window. Keyboard shortcuts allow you to easily pause, rewind and fast-forward without interrupting your flow. You can also add interactive timestamps in the text to highlight specific points in the recording, or click to double-check particular quotes. The app saves a copy of your work every five minutes, and the final product can be saved in plain text or to Google Docs. Studying a new language? The free Duolingo app and website can help you cement your vocabulary and practice listening and speaking, with scored rounds and in-game rewards to keep the interest of the easily bored. If you’re somewhere between a total beginner and intermediate learner, Duolingo provides a good way to learn a language on your own or supplement to your existing language course, with lessons in nearly two dozen languages from Danish to Vietnamese (curiously, the world’s most spoken language, Mandarin, has yet to be added to the lineup). Unlike, say, musicians or designers, writers don’t often get to geek out over gear or cool new software. 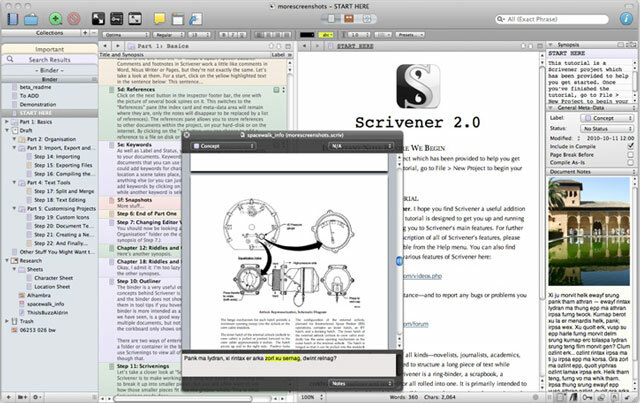 Scrivener is one of the exceptions—a project-management tool with tons of organizational features specifically for the creation of long-form texts, whether it be a novel, a research paper or a dissertation on four years’ worth of study. While the likes of Microsoft Word might do for shorter documents that are simple to restructure, Scrivener is great for more complicated pieces because you can write in sections (or scenes), which can then be easily reshuffled into a different order via a visually intuitive index card interface. Create a synopsis that describes each section, and use the birds-eye display of all the index cards for a useful overview of your work. You can create an endless number of subfolders (and, for that matter, sub-scenes), and then label each one by its status—such as "to-do" or "revised draft"—as well as mark it with one of 18 different symbols to indicate the type of document it is—such as idea (lightbulb) or brainstorm (blackboard). You can also enable a split-screen view if you need to refer to one scene while working on another. For extra motivation, you can set writing goals, by words per day, total word count or the days of the week when you must write. The completed work can be compiled and exported in a variety of formats, including Word document, PDF and e-book-friendly file. If Google's embedded in your toolbar, you already have an expansive (and free) thesaurus built into your browser. But there’s always the chance that you’ll be seduced by a new word that sounds great but is contextually inaccurate—when you might want to spring for a resource like the Oxford American Dictionary and Thesaurus app, which provides articulate definitions of words, followed by their synonyms and antonyms. The search function is particularly well-designed, with a spell-checker and autocomplete, as well as a camera feature to look up words through the viewfinder. Alternately, Power Thesaurus is a free, crowd-sourced online thesaurus whose homepage displays most-searched and just-searched words in real-time. Or, if you have a particular concept you’re struggling to put a word to, try OneLook, which lets you enter phrases in a search box to uncover related words. You can also use it to generate lists of nouns in categories—say, if you need words related to “soft fruit” or “trees”—and get basic information such as the capital of Zambia or the world’s longest river. Remember the tedious days of carefully copying out author names, titles, publishers, publication years and ISBNs of the books you’d referenced in your magnum opus? EasyBib takes care of all that, with a barcode scanner for physical books or magazines and a Chrome browser extension for websites that extract all the required details and format them in your choice of thousands of citation styles (some styles, including APA, are only available with the paid-for Pro version). You can build your bibliography within the app, or export selected citations via email. Great Read. Good relief for parents. Checkout Civic Sense Game: Learning App. A game that creates awareness on Waste Segregation at Source to kids, parents and the entire Society!